How to move a single exercise to a new day. To move a workout to a different day hover over the workout and click/hold the drag icon. While holding the button drag the workout to the desired day and release. 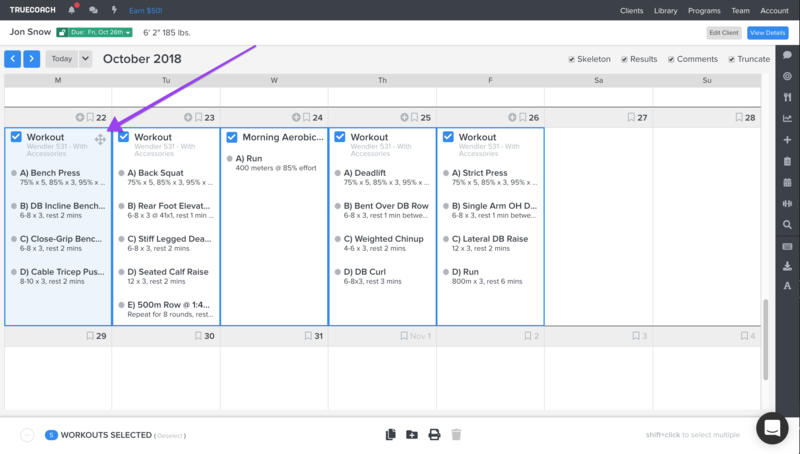 To drag and drop multiple workouts, select the workouts using the checkbox in the top left corner of the workout. Then click and hold the drag workout icon in the top right corner of the first selected workout to drag the group of workouts to a new day. Note: The selected workouts will be pasted in the same order in which they were originally listed in the calendar. 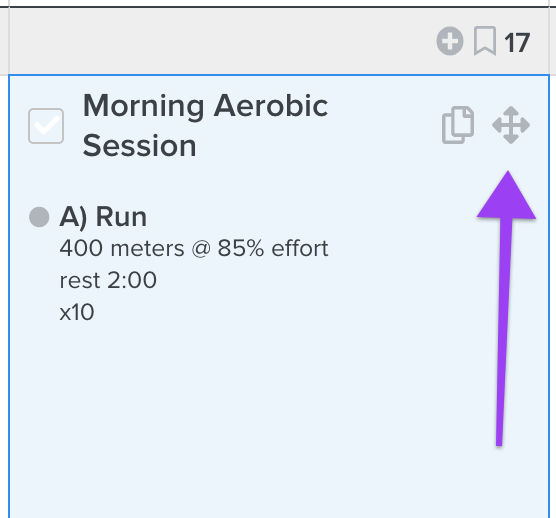 To reorder workouts within a single day simply click and hold the drag icon in the top right corner of the workout and drag it to the new position. To move an exercise from one workout to another make sure the workout is closed. Once the workout is closed you can click on the exercise and drag it to the new day.